Which came first the tree or the tractor? 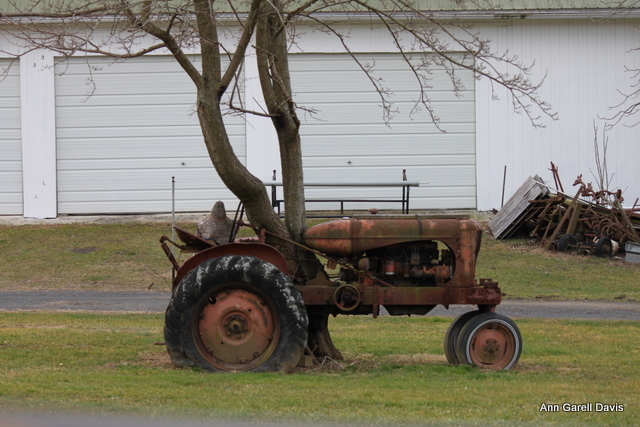 Did they park the tractor long ago and then the tree just sprouted up? Or was the tree already there and they parked the tractor around it and just welded that metal piece around it?